Climate change is already displacing thousands of people. There is little doubt that the coming decades will see a vast increase in the number of people forced from their homes by sea-level rise and extreme weather events, and many of them are vulnerable populations in many parts of the world. A few communities have already made the difficult decision to relocate in the face of climate-related phenomena. Climate change has been a factor in major conflicts in recent years, including Darfur and Syria, where drought and desertification are exacerbated by global warming. Yet climate is rarely the sole cause of conflict or forced migration. More often it’s a combination of factors, including growing populations, resource constraints, and short-sighted government policies. This story begins with examples of small communities facing severe threats from climate change effects, and continues with a look at large populations made vulnerable by human-induced changes to Earth’s climate. It concludes with some at-risk areas in the U.S. 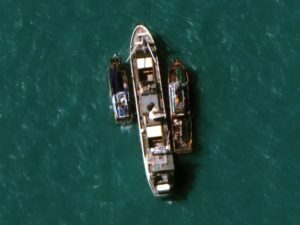 This article was originally published as an Esri Story Map: http://storymaps.esri.com/stories/2017/climate-migrants/index.html. Many islands in tropical seas are coral atolls with elevations of only a few feet. Communities on these islands face increased erosion from storms and potential inundation as sea levels rise. NASA and NOAA satellites have been measuring ocean dynamics for over two decades, and detect sea-level rise averaging about a millimeter a year. The change in sea level is caused by a combination of melting ice from glaciers and ice sheets and the thermal expansion of ocean waters as the planet warms. 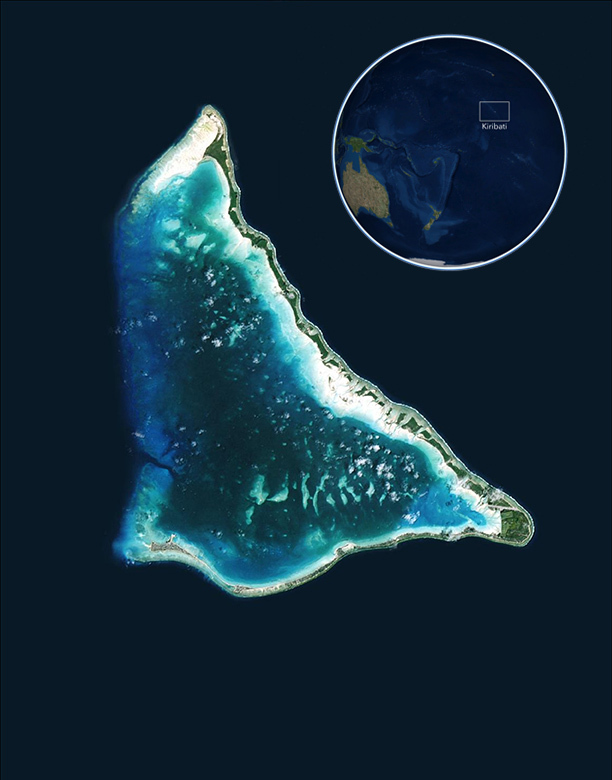 Kiribati’s 102,000 citizens are scattered across dozens of remote Pacific atolls, including the Gilbert Islands. The tiny nation faces an existential threat from climate-change-induced sea-level rise. Tarawa, Kiribati’s capital, is home to half the nation’s population. But most of the island is less than six feet above sea level. The government is planning a two-phase “migration with dignity,” and has purchased several thousand acres of land in Fiji, some 1,000 miles away, as a potential resettlement location. Off the coast of Papua New Guinea is an archipelago with an even more precarious future. Most residents of the Cartaret Islands, clustered around the periphery of an atoll, have already relocated to Tinputz on the nearby and much larger island of Bougainville. 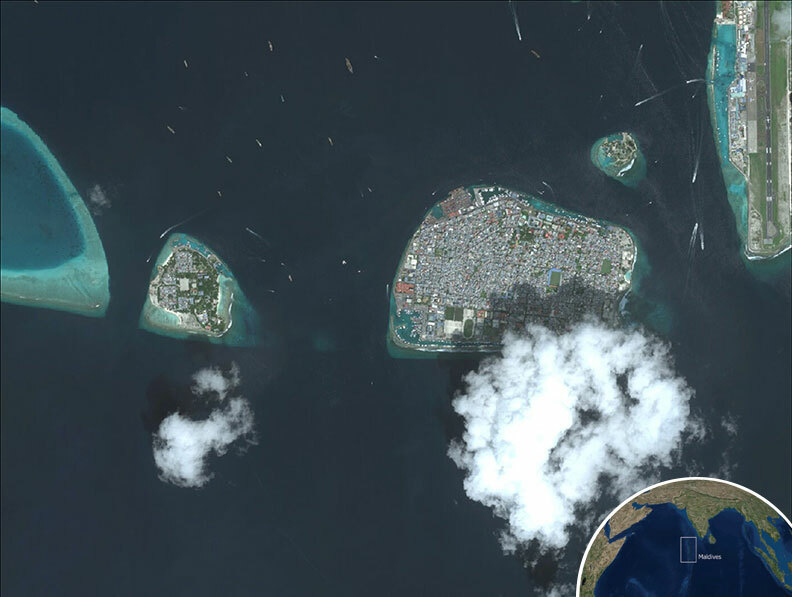 In the Indian Ocean, the hundreds of tiny islands of the Maldives barely rise above sea level. The tops of undersea plateaus break the surface as constellations of islets, the largest of which support communities. Some predict that most Maldives islands will be uninhabitable by late this century. In 2008 the government of the Maldives established a fund to be used toward the purchase of land for potential relocation of the country’s 350,000 residents. Low-lying coastal regions are also affected by rising sea levels. Many of these areas also face an increase in the frequency and severity of storms—another effect of a changing climate. The Ganges and Brahmaputra rivers together form the world’s largest delta, two-thirds of which is in Bangladesh, with the remainder in India. Home to more than 125 million people, the delta is extremely fertile. But it’s also highly prone to floods and typhoons, and its low elevation makes it perhaps the most vulnerable to sea-level rise of any region in the world. 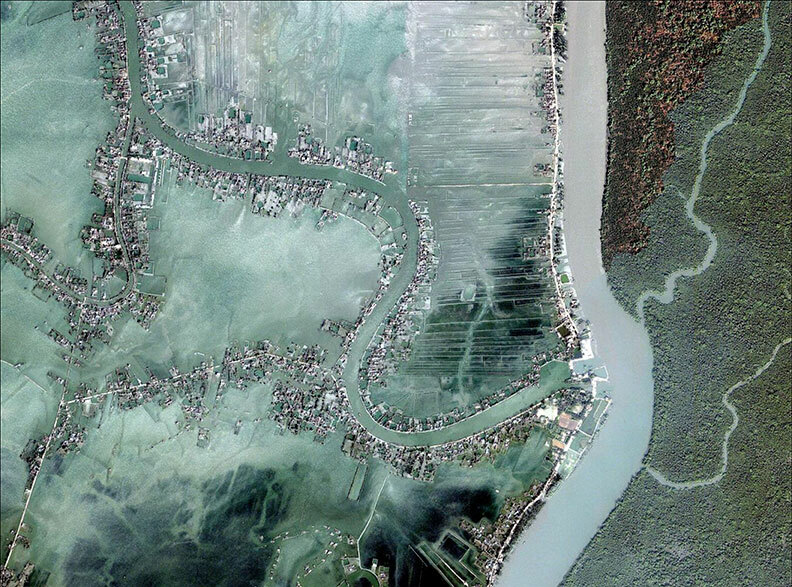 Hundreds of villages and agricultural areas are barely above the high tide line. A sea-level rise of 20 inches could displace some 6 million people in Bangladesh alone. Many rural Bangladeshis have already migrated to Dhaka, the nation’s capital, swelling its population to 17 million— a nearly four-fold increase in 25 years—and straining its antiquated infrastructure. The deteriorating quality of life in Dhaka has caused many middle-class residents to emigrate. It is often the case that more affluent people can afford to move, while the poorest households are essentially trapped in areas vulnerable to climate effects. The ongoing civil war in Syria includes a complex mix of contributing factors. There’s little doubt that climate change is one of a number of factors that led to the crisis. 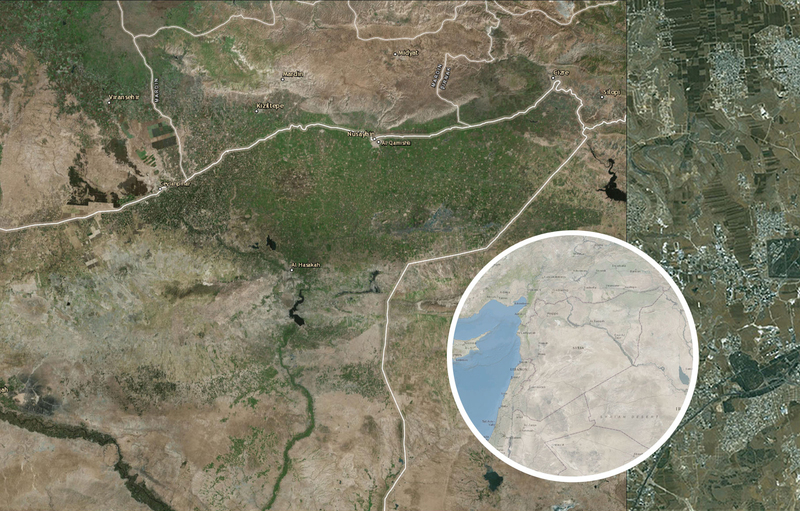 Syria is a case study in the complexities of climate, conflict, and migration. The stage for Syria’s travails was set in part by a long period of uncontrolled population growth. Its population grew rapidly from 2.4 million in 1937 to more than 14 million in 1995 (it is nearly 22 million today), straining its limited natural resources. Then came a debilitating drought from 1997 to 2000, at a time when the nation was still recovering from earlier rainfall shortages. The late-90s drought was Syria’s worst since records began, and likely the most severe in 900 years. Syria’s drought decimated harvests and killed livestock in the country’s north-eastern agricultural lands. Agricultural production collapsed, increasing the rate of migration of rural residents into cities. Up to a million and a half Syrians were displaced. 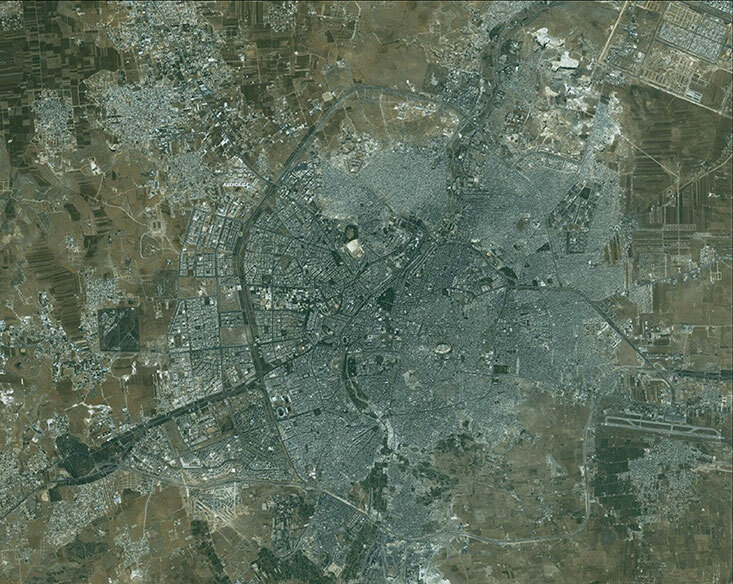 The Syrian government downplayed the water crisis; meanwhile, by 2010 a fifth of Syria’s population had been displaced, with internal migrants joining a million refugees from Iraq in makeshift settlements in and around its cities (including Aleppo, shown here), which increased in size by 50 percent in only eight years. Exacerbating the drought’s effects were misguided government policies. The Assad regime had long encouraged growth of crops like wheat and cotton that required intensive irrigation. Even before the drought, groundwater levels had dropped steeply, making farmlands far more vulnerable. It was in this context that the uprisings of the Arab Spring occurred, with results that are a continuing tragedy in Syria, with some 500,000 lives lost. 4.8 million people have fled the country, and an additional 6.6 million have been displaced internally. According to a National Academy of Sciences study, the drought was made two to three times more likely by human-induced climate change. Are these 11 million people climate migrants? victims of climate change? The less-than-satisfactory answer: yes and no. 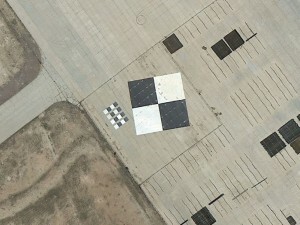 But there is no doubt that climate change has been a key factor. To many in the United States, climate change may seem worrisome but abstract— a phenomenon that affects only distant deserts and islands. Increasingly, however, the impacts of climate change are apparent in the continental U.S. in communities along the Gulf and Atlantic coastlines. Encroaching seas along the Louisiana coast and in the Chesapeake Bay are creating problems for long-time residents. 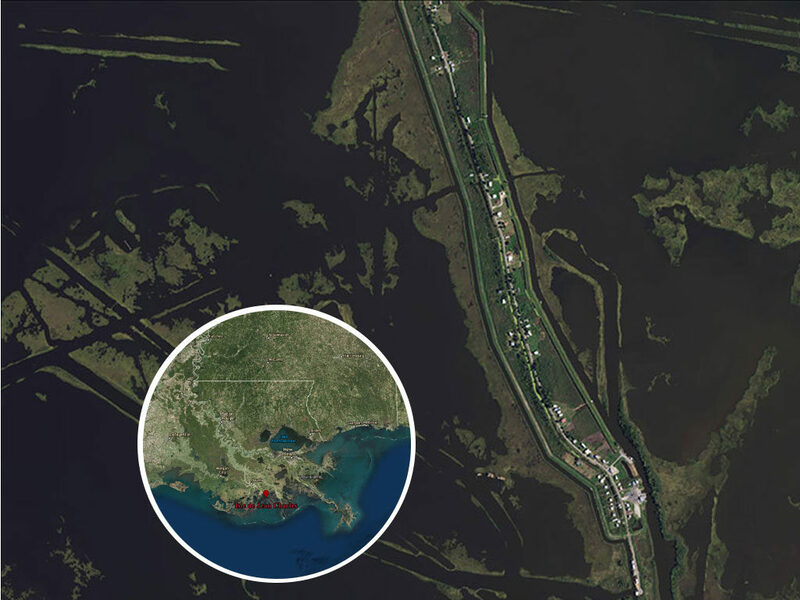 Thousands of square miles of wetlands have been lost in Louisiana; causes are likely a mix of sea-level rise, loss of sediment from the Mississippi River, and effects of oil and gas development. The residents of Isle de Jean Charles, in the midst of Louisiana’s coastal lowlands, are planning to relocate. They are the first recipients of federal funding specifically targeted for the relocation of an entire town. Low-lying areas around the Chesapeake Bay are increasingly affected by encroaching water. Sea-level rise is exacerbated in this region by gradual land subsidence, a side effect of geological phenomena dating from the last ice age. A study by the U.S. Army Corps of Engineers concluded that Tangier Island’s 470 residents might have to abandon it within 50 years, although engineering efforts costing tens of millions of dollars could buy additional time. The question, though, is whether costly engineering projects are feasible as more and larger communities face repeated flooding from storm surges and rising sea levels. The demise of small and isolated communities might be easy to ignore. 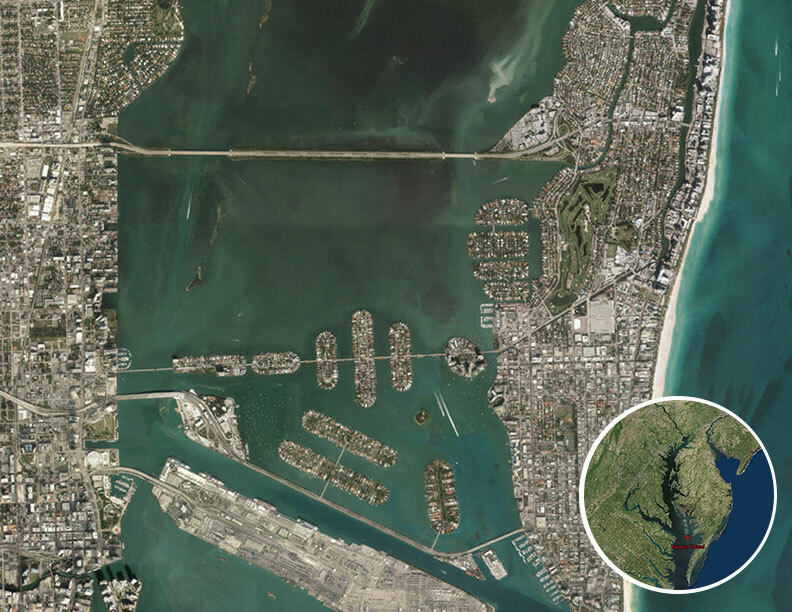 More populous and high-profile locations like Miami Beach are another matter. As flooding becomes ever more frequent, the city plans to spend $400 million to raise streets and install new drains and pumps. But how effective will projects like these be? And how long will they last as sea level continues to rise? The variability of weather events from day to day and from place to place masks an undeniable trend: the planet is warming. Charting global average surface temperatures since the late 19th century reveals a strong upward trend from 1970 on. With these steadily rising temperatures is coming a host of effects: longer and more debilitating hot spells, more severe droughts, more frequent and violent storms, rising seas, and shifting agricultural regions. Although lessons can be learned from past events, including Darfur and Syria, the rate and severity of future climate effects may create circumstances that are unprecedented in human history. 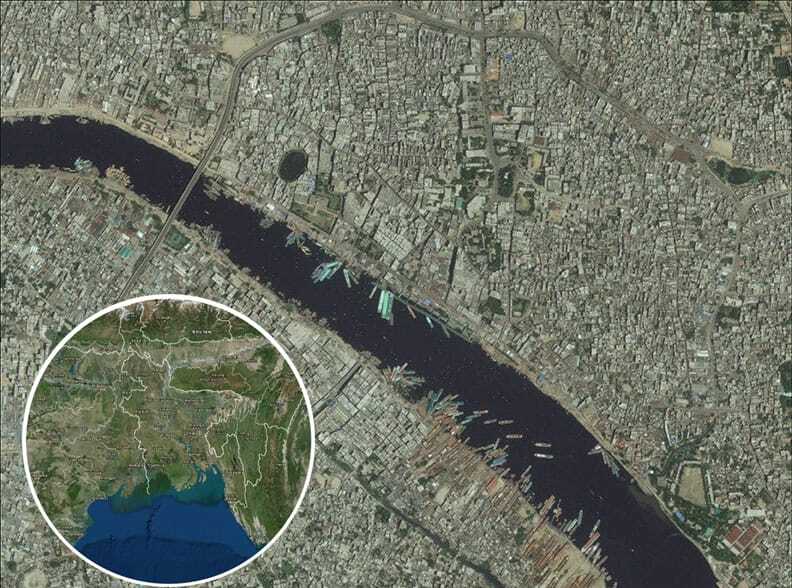 Rising sea levels alone will increasingly affect the world’s major port cities, collectively home to hundreds of millions of people. Affluent nations are likelier to invest in dikes, tide gates, and other expensive engineering solutions. 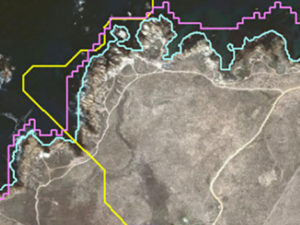 But many more low-lying regions may fight a losing battle against encroaching seawaters. Drought and desertification could displace millions of people in the future. Migrant deaths in the Mediterranean totaled more than 3,800 in 2016. Some of these victims fled increasingly arid central African lands. Can “climate migrants” be easily distinguished from other displaced people? Usually not. But the trends indicate that climate change will be increasingly disruptive in future years, and that a warming planet will force ever-larger populations to leave their homes to search for a better quality of life, or even to survive.